MAN! I have been super busy. I went to feed the cat this morning and instead put instant oatmeal in her bowl she looked at me and was like "what the H-E-Double Hockey Sticks lady?!" I was like "dude, I'm kind of tired and frazzled, quit judging me!" That was at 5:30 am mind you. I don't drink coffee, but I should really look into natural invigorating/stimulating? type things cause yep…I'm losing my mind. Perhaps it's already been lost? Shhh, I don't know if it is... so just let me be if it is. 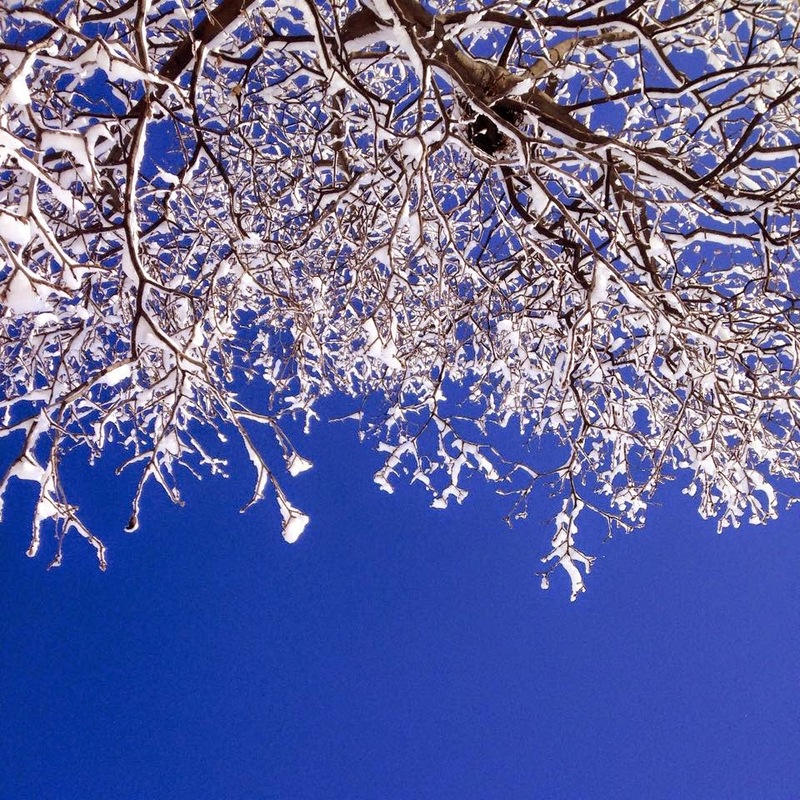 my view from under a tree on a snow day while the kiddos had fun sledding down our friend's hill. 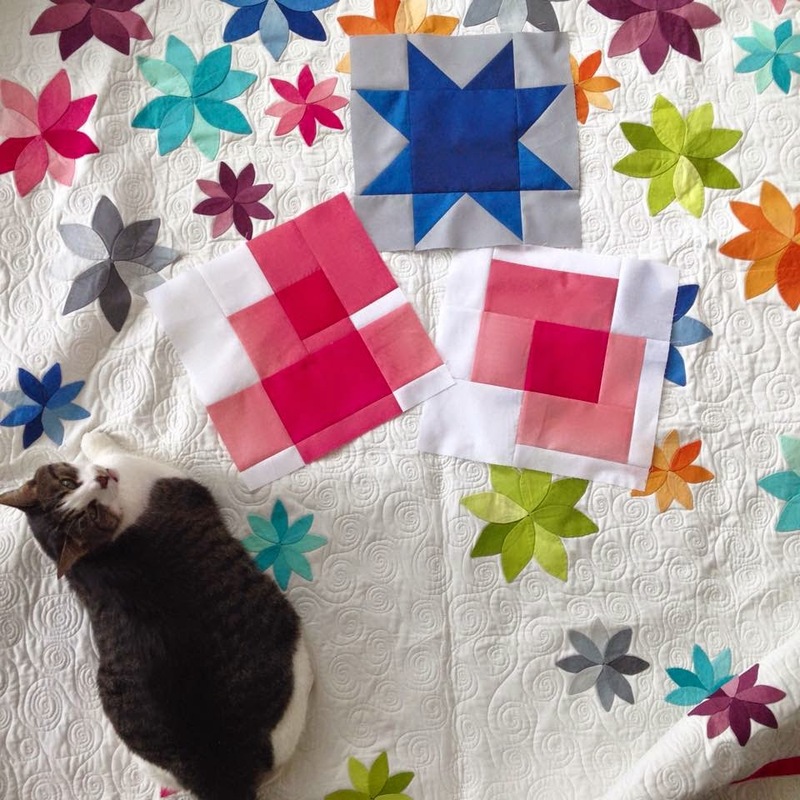 Judgey cat on my ombre bloom quilt and my quilt blocks for Quilt Con ombre class. BLUE , and PURPLE , are already on Amazon too!!! Whooooot! Here's a sneak peek of Orange which will ship starting in March 2015. I can't express how much I am in love with how this series of color books have turned out! And I've gotten so many nice compliments of the Red book that just started shipping to those that have already ordered the series! THANK YOU!!!! There will be a blog hop later on as more of the books start shipping and we can show them off, but for now I'll just tease you with beautiful pictures here and there! Follow me on Instagram to see weekly pictures of what I'm working on! 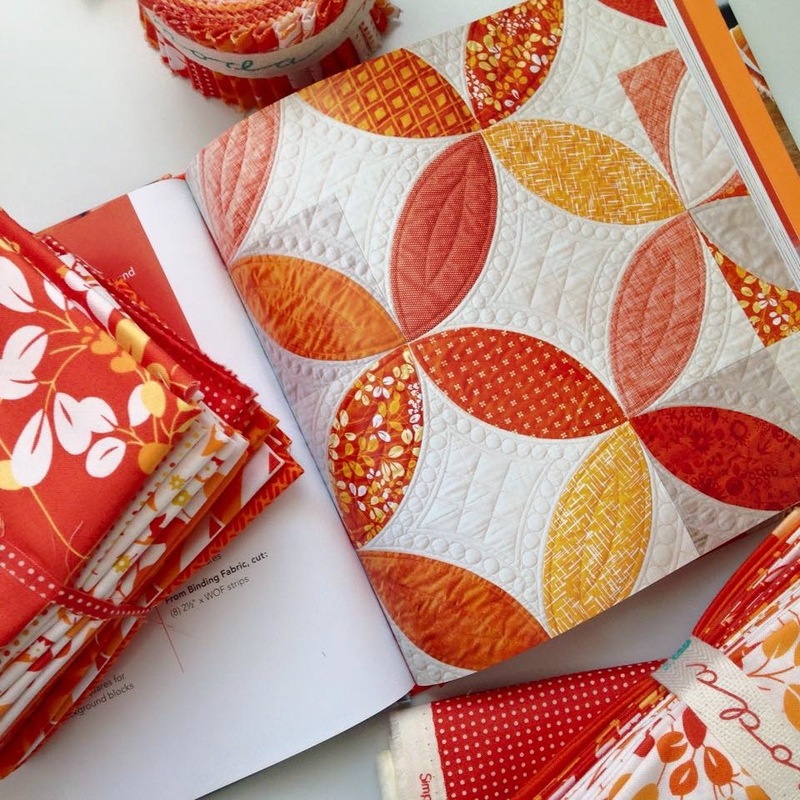 Love the ombre bloom quilt and the orange, even though I am not an orange fan... However most importantly, you "went to feed the cat and put instant..." I'm just hanging there to see what comes next... instant... cat food perhaps? See you in the triangles class! Oh, and you really must finish that sentence as Brianna suggests above. I'm so curious what wound up in the cat dish! Instant oatmeal? 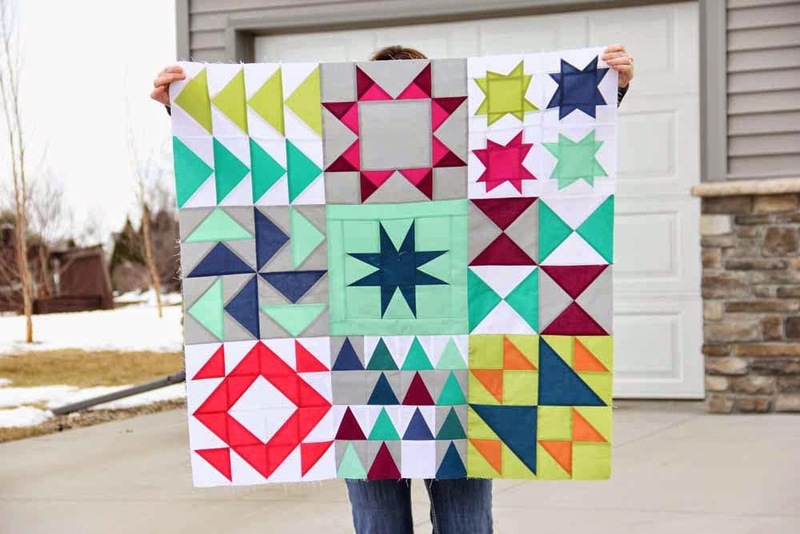 The colours in the sampler are nice,new and fresh, but as for doing a sampler quilt it reminds me of learning how to quilt way back in the 1970's when I was young and learning. It was all that was offered for the beginner. Just couldn't go there again. But with a new generation - what is old is new again - and the fabrics are soooo much better now than then. Just look at those colours! Gorgeous. I was thinking instant coffee. HA!!!! I just updated! it was INSTANT OATMEAL! man, i've lost my mind. see!!!! Have you tried grape juice? It is good for you and makes ME peppy. Also oranges. I do drink coffee but not much, one cup a day. Rosemary B again: are you taking piano lessons? I am taking care of twin 92 year olds. Rosemary B no, my 8 year old daughter takes piano. She just started!! I also have three sons: one plays the trumpet, one plays the cello, and one plays the viola!! I just got my RED book! Love it! And... I didn't realize the books were hardcover. :). Added bonus! So excited for the rest of these books! As far as the oatmeal... You never know what the animals will like. Our crazy cat comes running as soon as he hears the blender in the morning- he starts "yelling" at me (I'm not kidding) for his share of protein shake! He LOVES protein shake! Weird cat! It's hilarious! Sarina! That's awesome!!!! Ha! And yes! All hard cover!!! I can relate to being frazzled and doing things that I wouldn't normally do and (I hate to admit it) say. For the better part of a year I was getting maybe 4 hours of sleep a night. It was not fun! I love love love your work!!! You make the best stuff!!! That fabric is yummy! and the Triangle sampler is beautiful! Thanks for the chuckle and it was comforting to know I'm not the only one with those special moments when my head and hands aren't communicating!! LOL! Life gets crazy fast sometimes!!! hang on tight! haha! 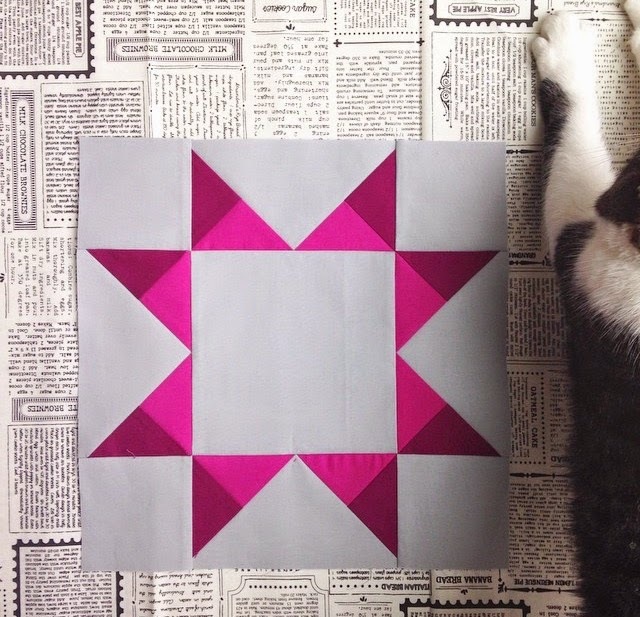 I wish I could take a triangles class. Especially with that beautiful bundle of solids. YUMMY!! I'm a little confused on the books and fabrics. The books are slowly being released right? 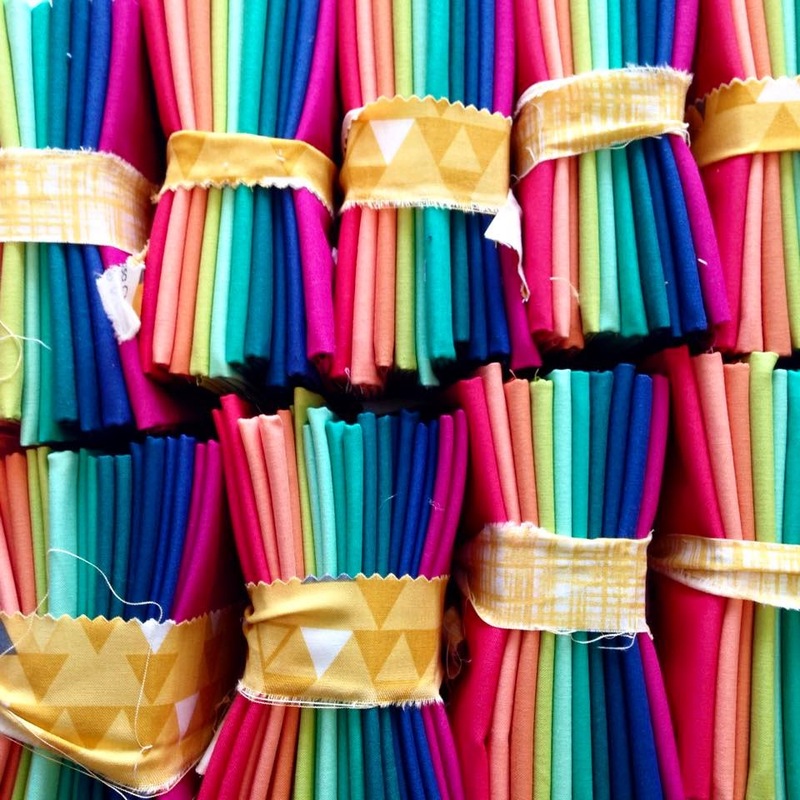 Are the fabrics available to buy in the individual color ways, orange, red, purple etc. or is that just something you put together to showcase the book? Love your newest release of Color Theory. My fave! Keep up the good work. Oh and apples are a wake up food, though I can't eat them in the am for some reason. Dear Vanessa, I just want you to know that I know that feeling you are having. When I feel that way, I tell my retired hubby, "I think I need to scream into a pillow, but I don't have time"